It just started with a shove or a frantic bite, but now your little kid is pushing her weight around on a regular basis. Children fear her. Parents whisper. You’ve justified your toddler’s actions as a “big personality” or “kids being kids”, but now this undesirable behavior has transformed your sweetheart into a bully. She’s figured out this behavior gets results- exactly what she wants! Toddlers are enjoying mobility. Developing friendships and building a vocabulary are new freedoms. They are navigating new situations, people, and expectations in a very short time. The toddler’s world revolves around their needs and wants. Most children go through a “bully” stage at some point, but it is extremely common for toddlers. To overcome this development stage is to identify the problem and consistently deal with the issue as it develops. If you take control now, you will avoid serious problems later. If you are reading this, you have identified a problem and want to tackle the issue head on. According to the Pacer Center, children who bully may suffer as much as the victims they target. 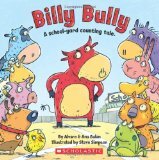 Bullies are likely to experience school failure, depression, violence, and crime. It’s obvious that this behavior can’t be ignored. You may have noticed the negative behavior on your own, or perhaps another parent approached you. If a parent initiates the conversation, be honest and acknowledge that your child is going through a phase. 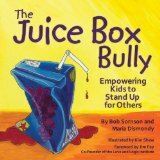 Mention a few techniques you are implementing to stop bullying. Chances are, they will encounter a similar situation someday. What can you do to curb this from developing into a full fledged problem? Talk with your child. Don’t underestimate your child. Young children are capable of understanding a wide variety of situations. Model appropriate behavior and role play situations with your little one. Read stories or watch their favorite shows and point out positive behaviors portrayed. “Use your words.” Toddlers are at a unique development stage. They are placed in situations where they don’t possess the right vocabulary to express their needs. Help label their emotions and encourage “words”. Keep the phrases simple- “next?” is a great way to ask for a toy instead of grabbing. Encourage empathy. Use teachable moments to help your child understand what it feels like to be the other person. At Care.com, Rosalind Wiseman, author of Masterminds and Wingmen, recommends to “create a respectful home”. Make your expectations clear, with consistent consequences. Hold your child accountable for their actions. If your toddler has a bullying event, follow through with time-outs or other age appropriate consequences. Rule out a physical problem. Unfortunately, this is something to consider. Does your child suffer from a behavioral disorder? Are your toddler’s social skills limited? Is your child’s sight and hearing on target? If you suspect a physical problem, consult your pediatrician. Avoid situations that trigger the behavior. Be diligent and supervise your child. Identify anger sources and try to avoid triggers. If you can’t avoid the issue, redirect the toddler’s attention to another object. Apologize. Start early and encourage your child to apologize. A simple “sorry” with eye contact works or have the child sign “sorry”. At PBS Parents, they believe it’s important to have natural consequences for a toddler’s actions. Seek support. Parents are not able to watch their children 24/7. Be honest with caregivers and teachers. Ask them to keep an eye on the situation and be aware of any incidents. Be realistic. Let’s face it. Humans learn from their mistakes. It doesn’t mean you are a terrible parent or did something wrong. Take a deep breathe and decide to support your child through this stage. Be patient and teach your toddler how to navigate in the world around him. It takes time and guidance to help your child become respectable citizens. Bullying doesn’t have to define your child. This phase will soon pass. Your little sweetheart will quickly be making new friends and embracing life. Amy K. Williams is am a mom of two and a former social worker, specializing in teen behavioral issues. She is passionate about parenting and determined to help put an end to cyberbullying. Please visit Practical Parenting for information about her work. Thank you so very much for this excellent post Amy. I would like to add one other suggestion. It seems to me that frequently problems arise when children are stretched beyond what is reasonable. A well-rested and nourished youngster is much better able to cope with peers than a child who stayed up late or missed a nap. We should not be surprised when a tired, hungry toddler or preschooler has difficulty managing at school or in a playgroup. I completely agree that issues that can seem overwhelming (at any stage) have a way of resolving (just about the time a different issue appears). Parenting is rarely without some sort of drama! Amy, thank you very much for sharing your insights and suggestions. I completely agree with you that many toddlers may not have the language skills and vocabulary to express their feelings and wants in positive ways. My son had delayed speech and language development and he demonstrated bullying behaviours that were often fuelled by his frustration.